Saudi Arabia, the United Arab Emirates (UAE) and Egypt are working on a plan with Israel to marginalize Iranian and Turkish influence in the region through restoring ties with Syria and making key changes to their overall policies in Iraq and Afghanistan, a new report has revealed. Yossi Cohen, the head of Israel's Mossad spying agency, was among a number of Israeli officials who attended a secret meeting with representatives of the three Arab countries in a Persian Gulf capital last month to discuss the new initiative, Middle East Eye reported Tuesday. 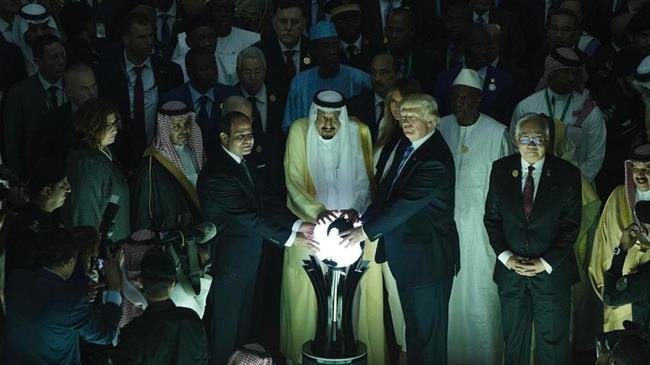 The plot includes accepting Damascus back into the Arab League, accelerating US troop withdrawals from Syria and Afghanistan, defending Syrian Kurds against Turkish attacks and rolling back Ankara's political standing in Iraq, the report added. Iran's military advisors in Syria have helped the government of President Bashar al-Assad purge foreign-backed militants from most parts of the country. Israel has used Iranian advisors' presence near its borders as an excuse to attack Syrian military bases over the past months. Riyadh is worried that continuation of the Syrian conflict would ultimately help Tehran's clout grow even bigger. 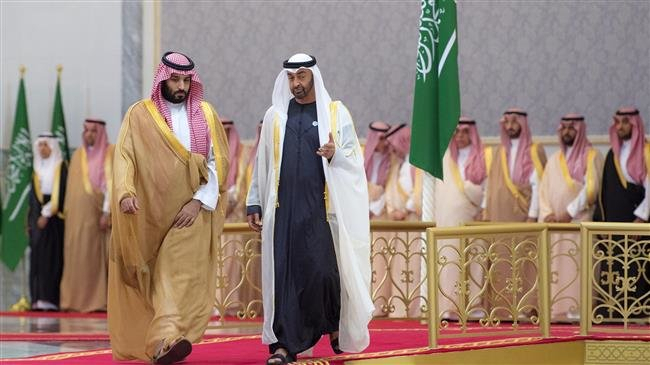 The shared antipathy towards Iran has led Saudi and its regional allies - the UAE, Egypt, Bahrain and others - to develop clandestine ties with Israel over the past years. Turkey, on the other hand, has launched its own military incursion into northern Syria with a declared goal of eliminating Kurdish militias that it claims are associated with separatist elements that clash with Turkish security forces. Ankara's role in the Syrian conflict is expected to expand when US forces leave Syria following President Donald Trump's decision last month to leave the country. This is not what Saudi Arabia and Israel had in mind when they openly backed terrorist groups in Syria at the beginning of the deadly Syrian conflict. Back then, Riyadh and the Tel Aviv regime supported the militants, calling them "rebels" who fought Assad. Today, however, after Assad's many victories against the terrorists, those excuses seem even more out of place. To tackle these issues, officials present at the four-way secret meeting agreed to implement four measures. As a first step, they decided to help Trump deliver on his promise to reduce US troop levels in Afghanistan while working with the Taliban. A week after the meeting, American officials sat down for talks with Taliban representatives in Abu Dhabi. Iran, in coordination with the Afghan government, has been holding its own peace talks with the Taliban in order to bring calm back to Afghanistan after 17 years of US occupation. The second measure agreed in the meeting was aimed at controlling "the Sunni card” in Iraq by minimizing Turkey's influence among the Alliance of the National Axis, the largest parliamentary bloc of Sunni Iraqi deputies. To achieve this, the report said, Saudi officials gave Mohammed al-Halbousi, the speaker of the Iraqi parliament, two choices during his first official visit to the kingdom in December: "to either reduce the influence of Turkey on the Alliance of the National Axis or pull out of it entirely." The officials also agreed to strengthen relations with Iraq’s Kurdistan Regional Government (KRG), and prevent any reconciliation with Ankara. The third measure was launching a diplomatic initiative to restore full diplomatic relations between the three Arab states and the Assad government in order to push Iran out of the picture. “They did not expect Bashar to break relations with Iran, but they wanted Bashar to use the Iranians rather than be used by them,” a Persian Gulf official said. That's why the UAE and Bahrain decided to re-open diplomatic missions in Syria while Sudan's President Omar al-Bashir became the first president to meet with Assad in Damascus in years. Analysts say none of these would have happened without a nod from Riyadh. The fourth measure aimed at supporting Syrian Kurds against Turkish attempts to expel the Kurdish People's Protection Units (YPG) from Syrian towns that bordering Turkey. "The Saudis themselves do not want to be in the vanguard of this diplomatic push to court Assad. However they agree with the policy of attempting to lever Assad to weaken Turkey," the Persian Gulf official told MEE.